This style is a flat pack, ready made/glued printed shirt box. These can be made to your required size, printed up to full colour. Great for giving out a professionally packaged product. These boxes can be used as point of sale packaging or to package products as part of a production line. They give an item a real professional finish and feel of quality. Minimum quantities of these boxes are usually 1,000. They can be printed onto a matt or gloss card. 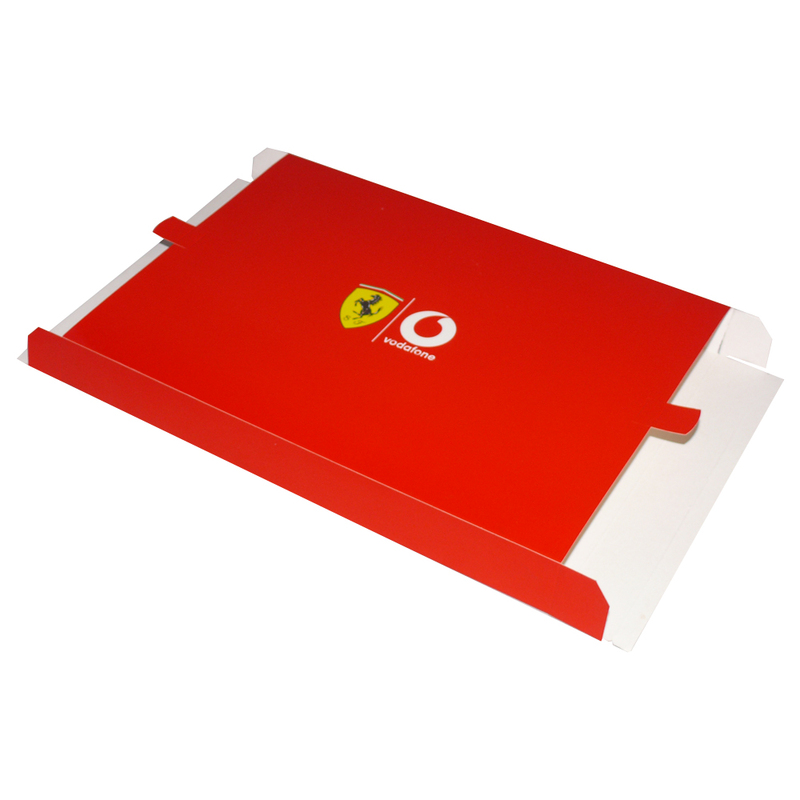 Beckdale.co.uk offer a full design service for various types of printed shirt box. Our in house office team are happy to help clients choose unique printed shirt box. To discuss choose by material or similar , please contact our offices via the above details.